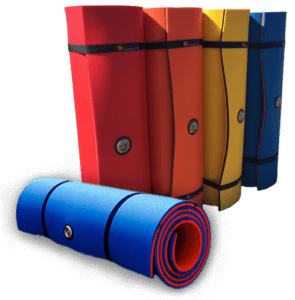 Our foam water pads are built to withstand between 1,450 – 1,800 pounds! 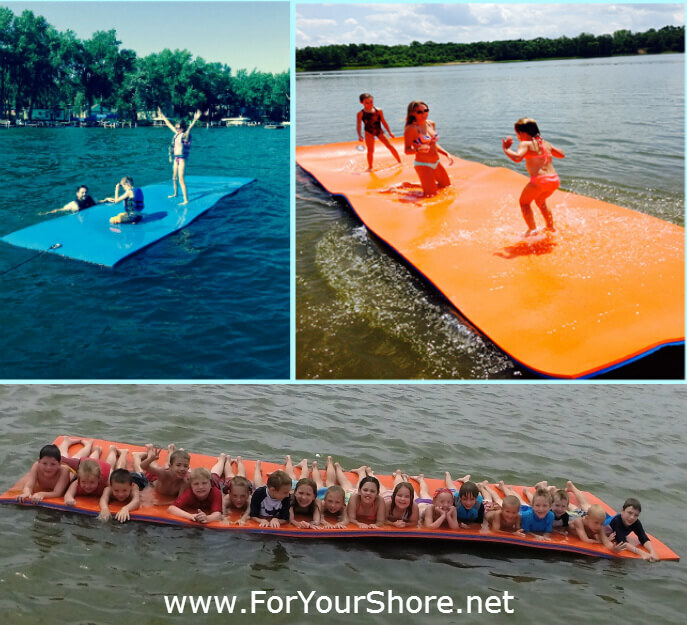 Whether you need a durable raft for the ocean, or a roomy water pad to relax on the lake with friends and family, These high quality floating Mats are the perfect solution for anyone who loves to be on the water! Built to last using UV protection with no adhesives. We are confident in saying our foam water pads are the most durable rafts on the market! Floating Foam Water Pad for lake Minneapolis MInnesotaEquipped with all of the necessities to roll your Pad up and take it on the go. Our water pads use the highest quality stainless steel D-ring tether system and 10ft bungee anchor line. Our pads don’t have plastic tether plates or plastic clips.